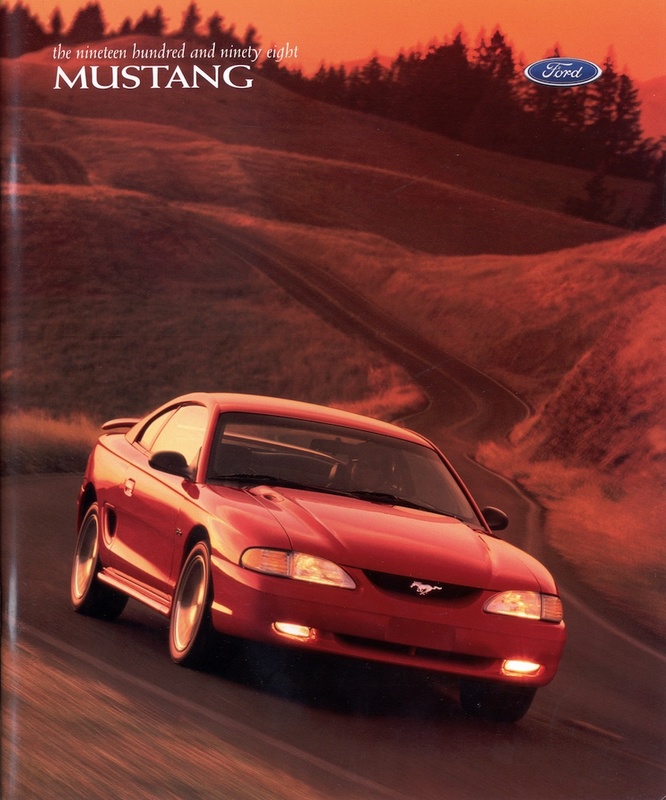 This is the cover of the 1998 Ford Mustang promotional booklet which contains 22 pages of photos and facts. New to 1998 were modifications to the engines to allow for more power; a GT Sports Appearance Group; and a V6 Sports Appearance Group. The interior was modified to include a clock in the stereo and a CD player on all models. The SVT Cobra also got new 17x8 inch alloy wheels but had its own special sales booklet and was therefore not included in this brochure.